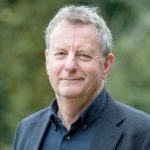 Dr Jeremy Leggett describes himself as a social entrepreneur & writer on climate change, the global energy transition, the opportunities and threats of technology, and the future of civilisation. He's the Founder and Director of Solarcentury, Founder and Director of SolarAid. His books include The Winning of The Carbon War. He was Entrepreneur of the Year at the New Energy Awards and was the first Hillary Laureate for International Leadership in Climate Change.